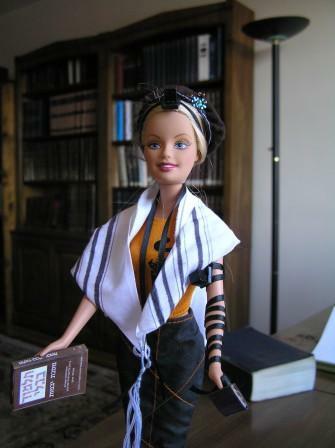 Tefilin Barbie was created by Soferet Jen Taylor Friedman. She is available by special order. A special, meaningful gift for every night of Hanukkah. Rebutting those who distort history. Despite war and terrorism, Israelis are thriving. Raising A Mensch Section Editor Dr. Flaura Koplin Winston parenting @ pjvoice.com, is a practicing pediatrician, associate professor of pediatrics and Scientific Director of the Center for Injury Research and Prevention at the Children's Hospital of Philadelphia. She welcomes your comments, questions, contributions and suggestions for future columns.